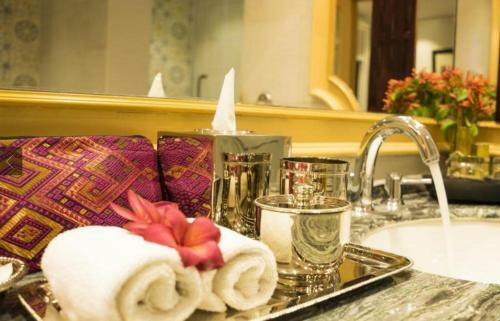 Blending French Colonial and traditional Lao design, The Grand Luang Prabang is located within Xiengkeo Palace. Overlooking the Mekong River, it has an outdoor pool and 3 dining options. 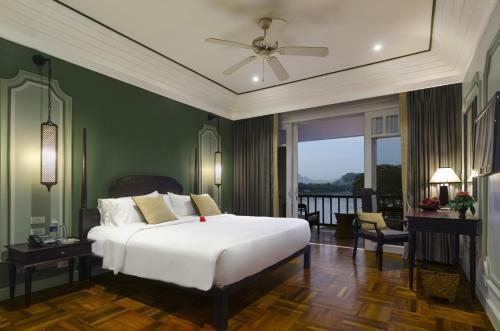 The Grand Luang Prabang’s rooms feature wooden furniture and flooring, with glass doors that open toward a private terrace or balcony. Each room has satellite TV, a minibar and a work desk. Some rooms offer river views. Guests can relax by the pool or enjoy a stroll through the landscaped grounds. The 24-hour front desk provides concierge assistance and luggage storage. Free internet is available throughout the hotel. Featuring high ceilings and marble flooring, Xiengkeo Restaurant offers buffet breakfast and is open for all-day dining. Karaoke facilities are available at Le Bistrot Lounge upon request. Room service is provided 24 hours daily. 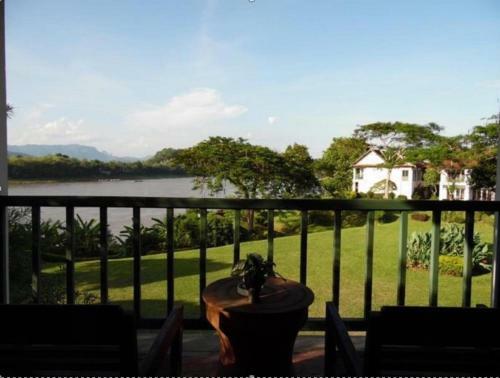 The Grand Luang Prabang is 6 km from Luang Prabang Airport. It is about 4 km from Wat Xieng Town. 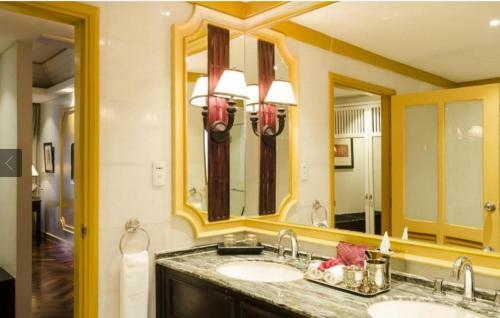 Located on the 2nd floor, rooms feature views of the Mekong River.